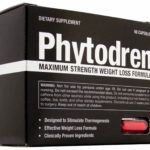 Synedrex by Metabolic Nutrition is a medium-priced diet supplement that is designed to promote thermogenic activity to maximize weight loss through calorie consumption by metabolism. 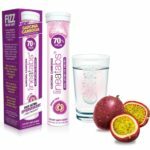 It is marketed as a product that you only need to take until you reach your weight loss goals, which is a very different approach from many of the diet supplements that assume you will take their product for life. While Synedrex includes ingredients that have been shown to be effective in delivering on their promise, this products also has a dangerous potential for creating some serious side effects. Synedrex promotes itself as a thermogenic enhancer. Thermogenics refers to the raising of the bodys internal temperature to increase caloric burn, which then leads to fat loss. The combination of thermogenic excitement, increased energy levels and appetite suppression are supposed to make it easier for people to control their caloric intake, increase their level of activity and maximize the calories burned to lose weight. 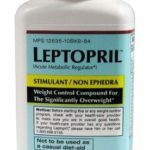 What many consumers have reported is that it has been very effective as an appetite suppressant. What they have also commonly said is that drinking a glass of carbonated water before eating could have most likely created the same effect. All of these ingredients are associated with an increase in thermogenic activity because they are all stimulants. Methylzanthide is a caffeine derivative. There is some evidence that both green tea and bitter orange are successful appetite suppressants, but there is little evidence that any of the ingredients effectively promote fat binding, blocking or increase the lipolysis process. Lipolysis is the process of removing lipids from the blood stream. This is why a side benefit of taking Synedrex is supposed to be a lowering of cholesterol levels as well. The presence of lipids in the blood stream is what can eventually lead to the formation of plaque in the arteries. There is significant cause for concern about the side effects of Synedrex. While the manufacturer has a very standard black box warning about possible ill effects many users have reported that they have had difficulties with breathing to the point of passing out. There have also been reports of nausea, dizziness and sweating. Many of the thermogenic effects that are created by Synedrex are associated with an increase in heart rate. If you have a problem with high blood pressure you should avoid this supplement. One of the main concerns with Synedrex is the inclusion of green tea extract. A common side effect of green tea extract is it can block the absorption and release of B vitamins in the body. This can lead to an increased risk of toxic levels building up in the system. As far as the benefits for lowering cholesterol, there is concern that the ingredients in Synedrex may interfere or interact with cholesterol management medication. 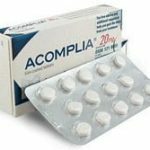 It is advised that you not take this supplement if you are on such medication to avoid any adverse reactions. 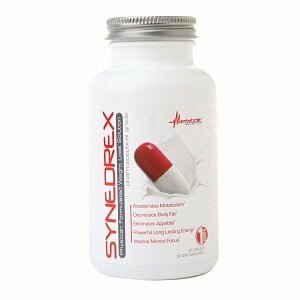 Synedrex is available from the Metabolic Nutrition site and on some of the larger eCommerce sites as well. There is a range of prices associated with the product but the core listing is about $30 to $55 USD plus shipping. There are some discounts available for multiple bottle purchases. The return and money back guarantee is only offered through the Metabolic Nutrition site. While there have been no direct complaints against the site or business, they are merely a mail order distribution point and not a clinical laboratory. You can also buy it from Amazon for $21.94. Synedrex has a lot going for it. 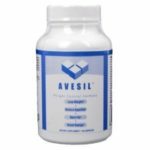 There are some very positive customer reviews and the approach they take to promoting thermogenic activities is proven to increase weight loss. Unfortunately, the approach they take is also one with an unusually high risk factor for dangerous side effects. There are much safer products on the market that can deliver the same results as this one. Although this is one of the more affordable products, there are far too many serious side effects that can happen to make it a wise decision to try.